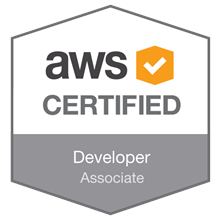 After many months of delay and procrastination I finally scheduled to sit the AWS Developer Assoc. exam. 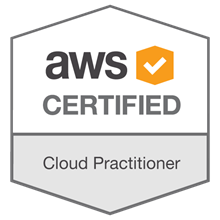 I was passing the practice exams from acloud.guru with > 90 repeatably and felt confident I could breeze through the exam with little to no problem…boy was I wrong. AWS recently updated the Developer Associate for the 2018 year so I had to study the original exam material as well as the new updated exam. If you sit for the exam from this point in time or later head these words: focus on API Gateway, Lambda, DynamoDB and Key Management Service. Unlike the prev. exam focusing on the read/write provisioning did not gain me any points. Many people say the SA Associate is harder, I spent the entire two hours on the DA Associate. In my experience the Developer Assoc. was much harder. Then again I do not get to use AWS in my day-to-day at the moment so the lack of exposure very likely worked against me. With all that said; I passed. 3 of 18 total certs completed.